Re-roofing over an existing composition roof used to mean purchasing a load of 1" x 4" lumber, and then struggling to attach those wood furring strips to the old roof. 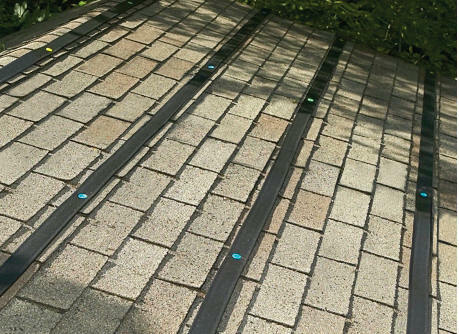 After the new metal roof installation on the wood spacers, more problems were likely to develop: The wood spacers warped and caused the metal to crease. Or they would rot or corrode the metal. Revolutionary, lightweight spacer made to take the place of wood or felt paper when installing a metal roof over existing shingles. 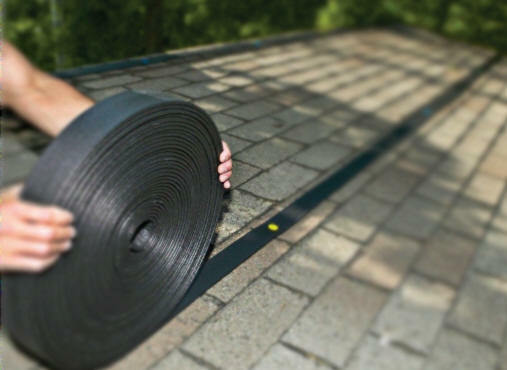 The installer simply rolls the high density Polyethylene Retro-Ease out across the shingled roof and tacks it down. The metal roof is then attached. Retro-Ease eliminates metal creasing caused by the warping of wood spacers. Apply in layers to eliminate sags in roof. 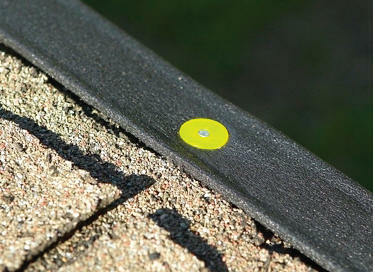 Use RE2 instead of wood spacers and you’ll solve the re-roofing problems described above and much more. The revolutionary RE2 is manufactured with high density polyethylene foam. It’s lightweight, yet strong and won’t rot or corrode the metal roof you install on top of it, nor will it warp which causes the metal to crease. RE2 is sold in two150-foot easy-to-handle rolls. You just roll it across the old shingled roof, tack it down (with the 50 nails included), and install the metal roof on top. 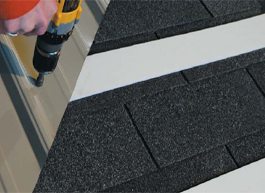 RE2 acts as a spacer between the old shingles and the new metal roof, providing air flow and ventilation. The initial cost of RE2 is comparable to using wood spacers. Yet, it’s easy to handle and easy to install (heavy tools not required! ), so it increases productivity. Since RE2 won’t warp like wood, you’ll experience fewer customer callbacks. And our own customers report that insurance risks are even reduced with RE2. So if you’re looking for a way to resolve on-site retrofit problems, choose the innovative RE2 for your next re-roofing job. It’s re-markable!